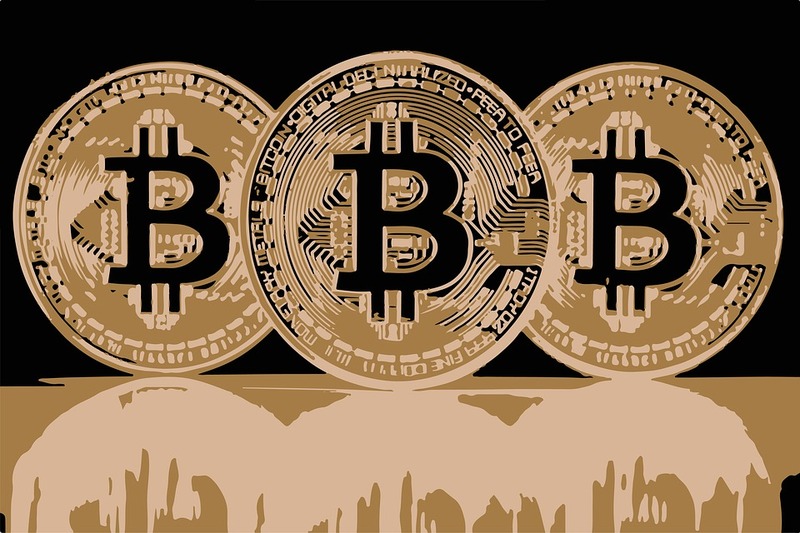 For true believers eyeing the overall prize, it’s all about adoption which is encouragingly gathering pace and gaining traction especially after the launch of the experimental Lightning Network whose capacity now exceeds 1,000 BTC processing more than $4 million as a result. It has been a year or so after roll out but the benefits are beginning to permeate. More merchants are now accepting cheap, LN payments while those in Twitter can receive instantaneous tips via Bitcoin LN after Jack Dorsey endorsed Tippin.me. After a stellar week, Bitcoin prices are up but stable in the last day. Prices are up 1.6 percent from last week’s close but likely to add more in days ahead. From a top down approach, sellers have the upper hand and the situation has been made worse by the failure of buyers to completely reverse Feb 24 draw downs. In the short-term, Bitcoin prices are held within a $1,300 consolidation with resistance levels at $4,500 or Dec 2018 highs and supports at $3,200. Those are 2018 lows from where prices found support and rode higher. 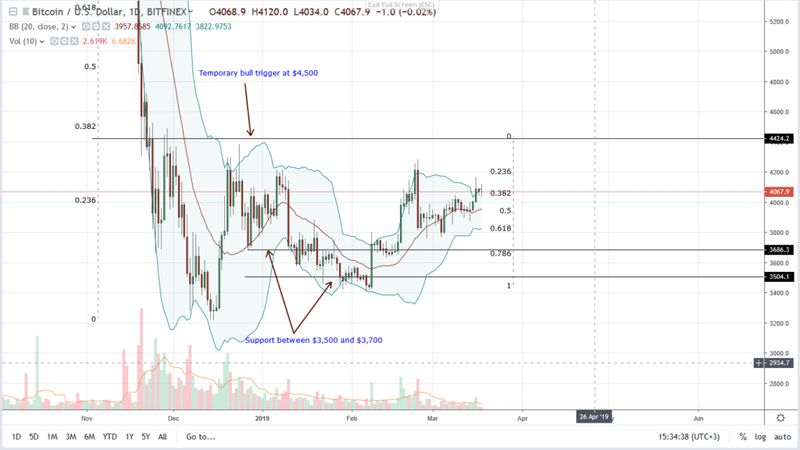 Regardless, it appears as if Bitcoin (BTC) bulls have a temporary advantage over bears and trading within a bullish breakout pattern with supports at $3,800. Despite our optimism and expectations of price revival, our anchor bar is based on Feb 24. It is bearish and fueling this liquidation are high volumes at 36k versus 19k average. Since the past three weeks prices are trading within this bar’s high low, it means sellers have the upper hand unless of course there is a spike in prices driving prices above $4,500 complete with high transaction levels exceeding 40k. it is only through this route that bulls of Feb 18—37k versus 12k would be in charge as prices edge closer to $4,500.